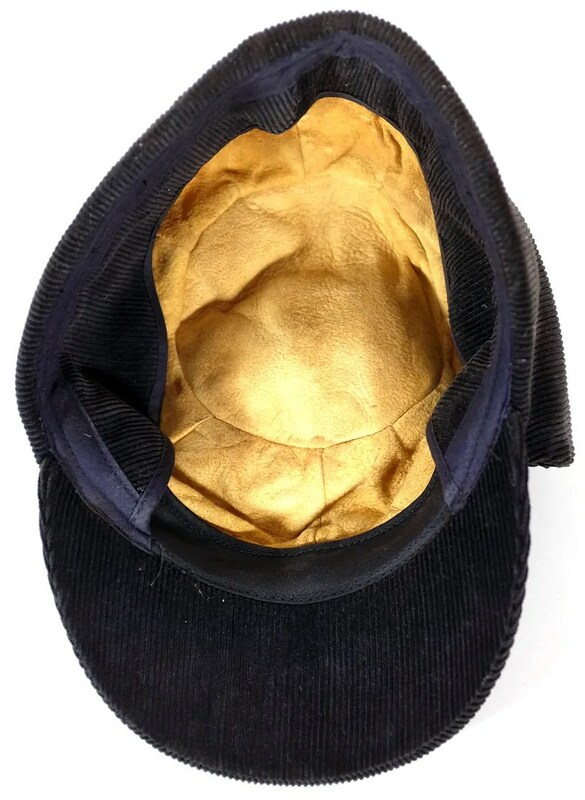 This vintage cap was made in the 1940s-1950s. 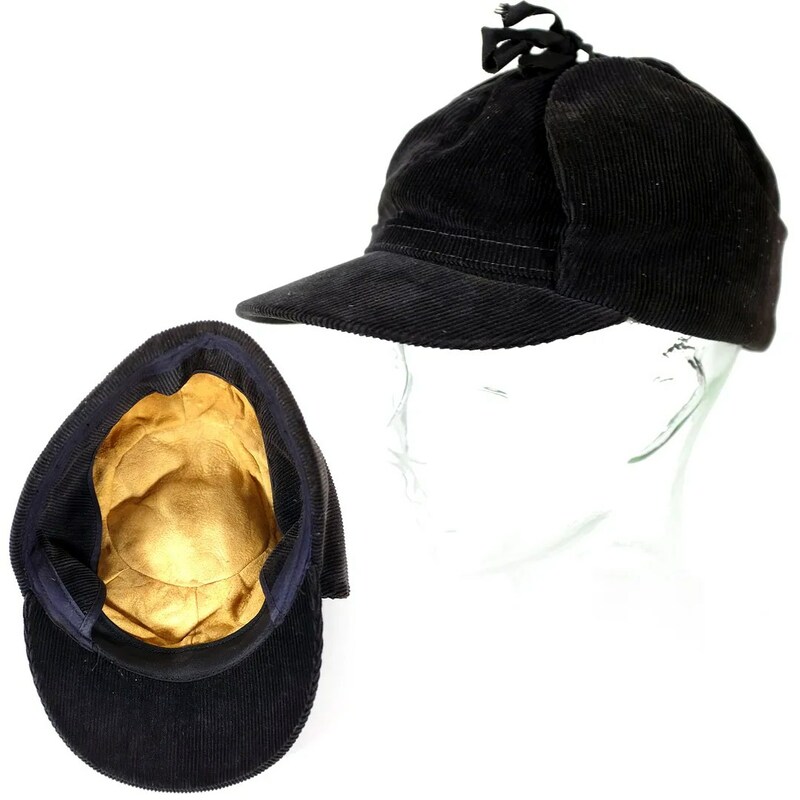 It is made of heavyweight black corduroy, with tie-top earflaps, internal earflaps and a chamois lining. 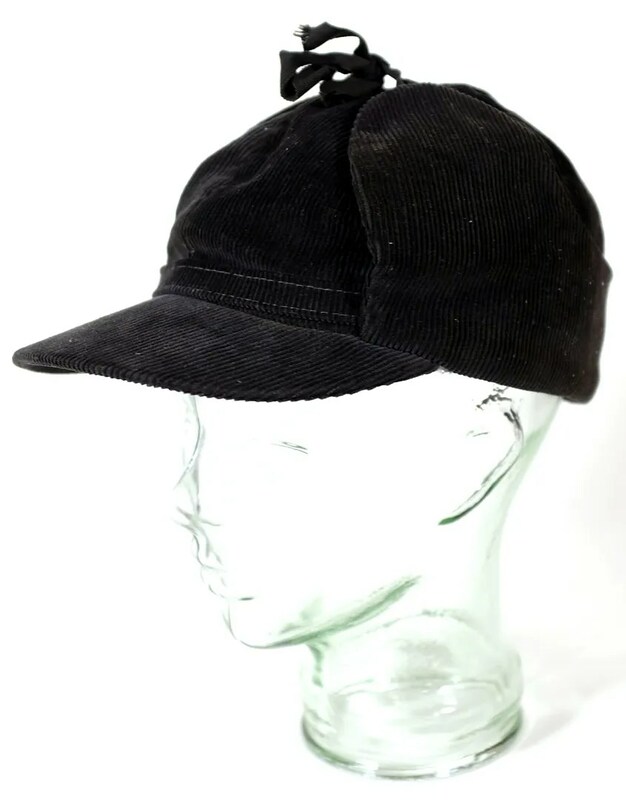 These were popular for hunting and as workwear. It is a size 7-1/4. 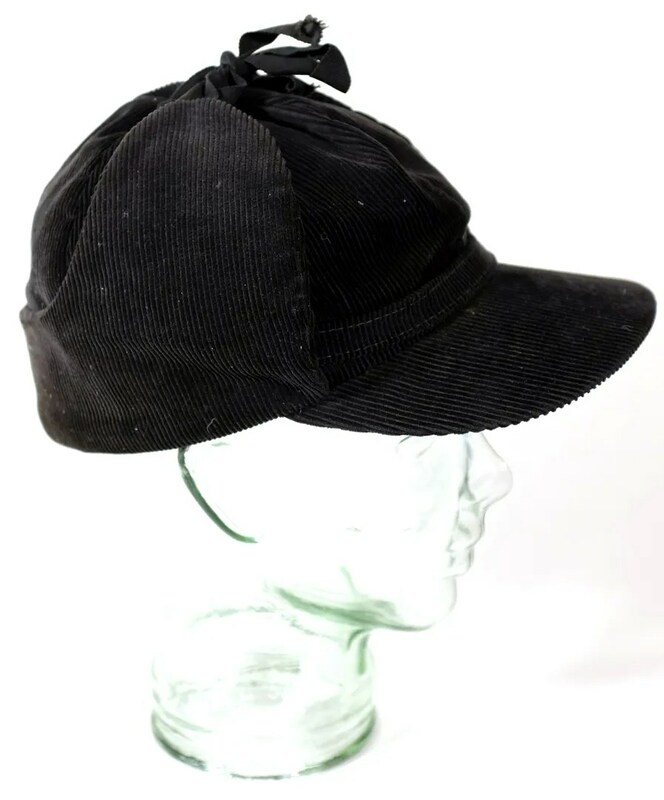 This entry was posted in Hats and tagged 1950s, cap, corduroy, hunting cap, vintage, workwear by Spencer Stewart. Bookmark the permalink.